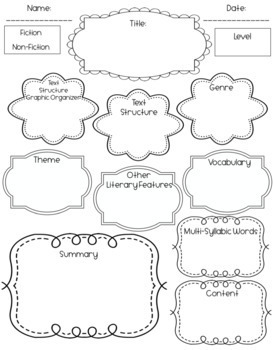 This PDF includes a Graphic Organizer in which you can use to start ANY selection/story you read. We all know how important it is to activate what the kids know and incorporate big ideas into every lesson. 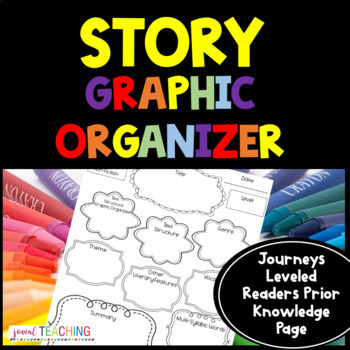 Inspired by the teacher lesson plans of the leveled reading groups of Journeys, I created this to use with my small group instruction and just adapted it to use whole group as well with the weekly story. Use it each week to allow the students to embrace what will be being taught and to spiral some ideas and lessons into each selection/story. I have also included a page for visualization (a space for students to draw) of the story as well for your kinesthetic/visual learners who need to be encouraged to read and visualize. Visualization helps so much with comprehension and retelling by making the child feel more connected with the text. It is an ideal strategy for teaching young children who struggle to read. Use it regularly by double-siding it with the graphic organizer.